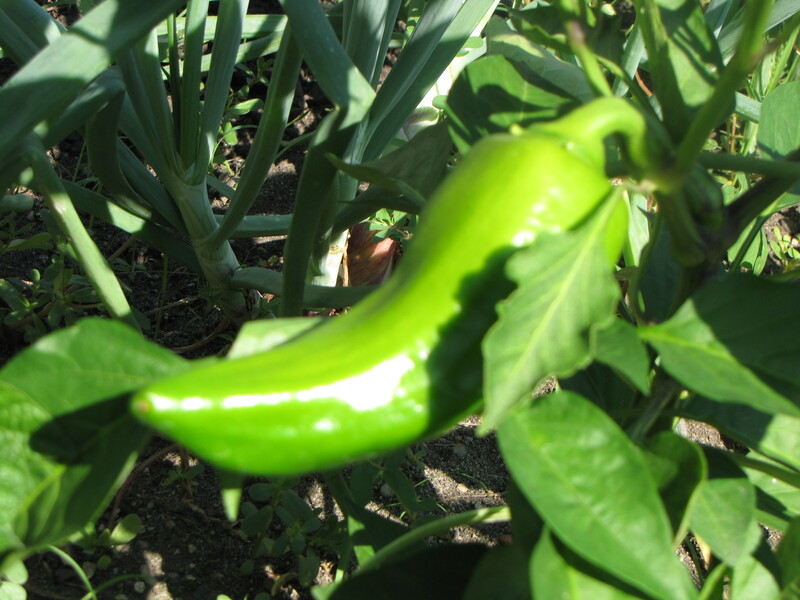 Gardening…It’s Good for the Soul! True confession: We were out weeding in our jammies this morning. Good thing we have a fence! It’s been an average of 90-100 degrees out all week, and while it was cooler today…we were getting out before it got too hot. My three year old loves to be out in the garden. She pretends to hoe, and just plain likes to be where we are. I love spring, but I really love summer. It is a time of rapid growth…a time where you can run out your back door and pick your dinner from the dirt…a time where it’s good for your body to be out in the sun getting Vitamin D…and a time where it’s good for your soul to connect with nature. 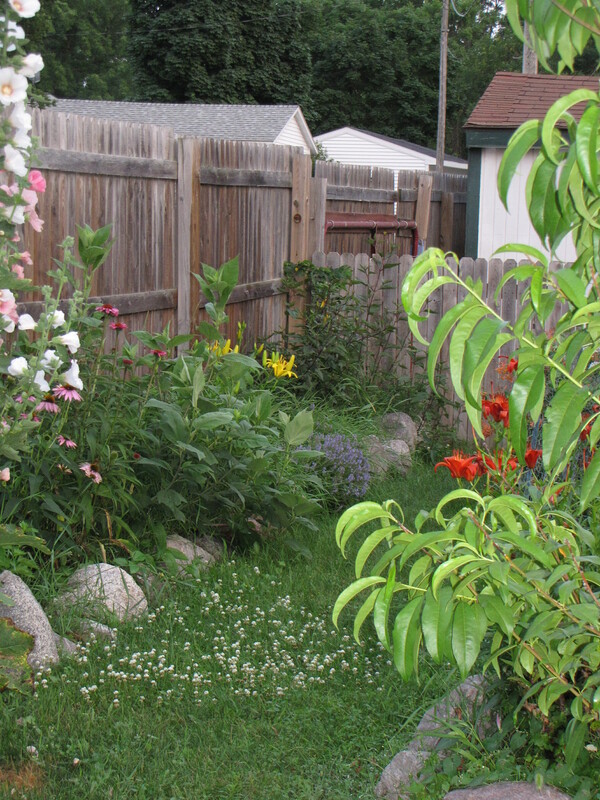 And when I’m done working, I sit out back and look at my gardens and…relax. 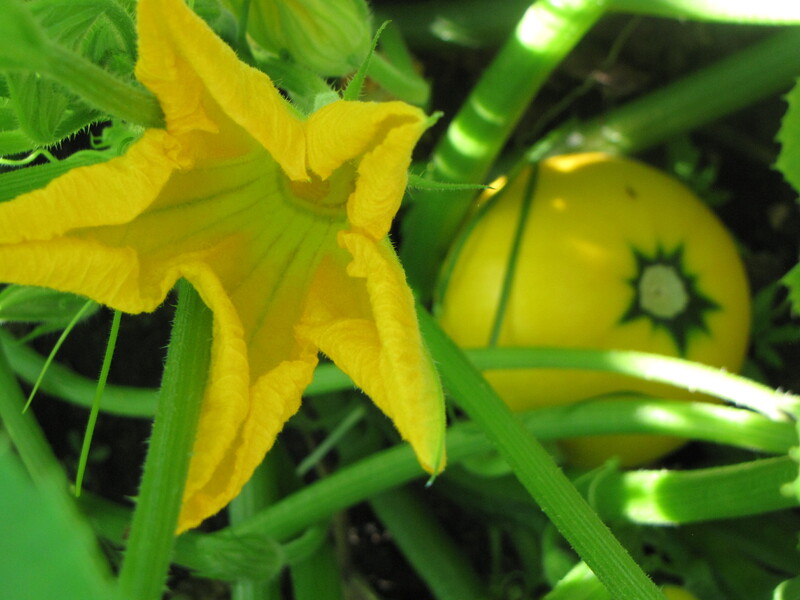 This is the third year that we haven’t used any chemicals on our garden, which makes it pretty much organic. I used to “dust” things with some bug killer or other at the first sign of holes, and once I even hosed down a couple of tomato plants with Home Defense trying to kill a particularly large spider. Then I learned all kinds of things – that those chemicals could be affecting the asthma that my kids had at the time, could likely make their way into the water supply (and aren’t necessarily filtered out), and could otherwise affect our bodies in ways that we might see immediately…or maybe years down the road. A couple of years back, my son (with a little help from dad) made a compost bin for a 4H fair project. We have become fairly dedicated composters, and at the beginning of the season we coated our garden with our old decomposed kitchen scraps and some rabbit poop that we happened to have in abundance. In 11 years of having a garden, this is by far the best garden we’ve ever had. This is also the year that my wonderful husband built me four raised beds in addition to the main garden. The fourth was supposed to be for our strawberries, but they were already “doing their thing” in the whiskey barrels that they are in, so I didn’t dare move them. In the fall, they will have a new home and can spread all they want. 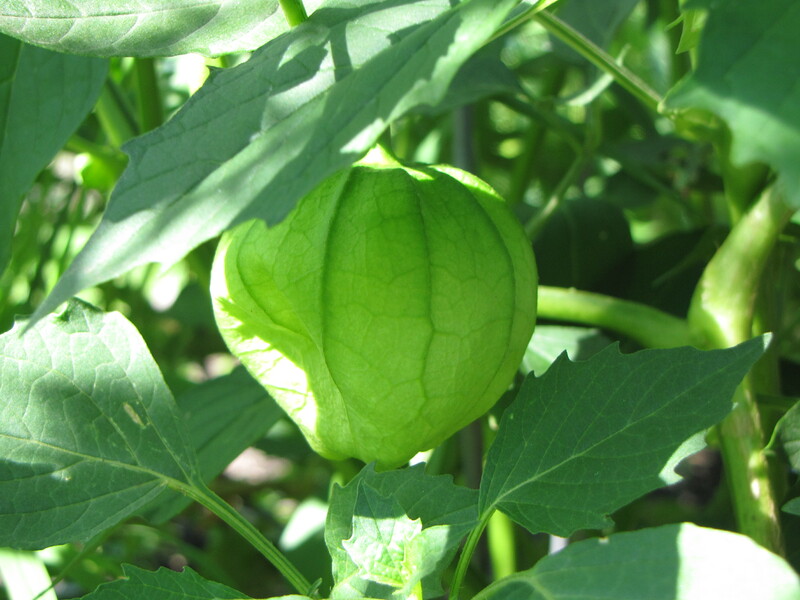 This year we planted: broccoli, six varieties of heirloom tomatoes, tomatillos (I make a “mean” salsa verde! ), two varieties of cukes, kale, lettuce, dandelion greens (which oddly enough, didn’t do much although they were rampant everywhere else in my yard), arugula, shallots, leeks, pac choy, turnip greens, red and green cabbages, eggplants, green and purple beans, various peppers, beets, carrots, summer squash and zucchini, celery, artichokes, cauliflower, onions, cantaloupe, radishes, Daikon radishes, parsnips and about a dozen different herbs to make teas and for cooking. Did I forget anything??? This year I have focused on getting organic, heirloom seeds from companies who have made an oath to not use genetically modified (GMO) seeds. A few of my favorites are: Seed Savers Exchange, Bountiful Gardens, John Scheepers Kitchen Garden Seeds, and The Cook’s Garden. Some of those sites are also have some great recipes, so you know what the heck to do with all your beautiful produce once you’ve got it!!! I plan to freeze, can, dehydrate and ferment (kimchi and kraut) everything…after we’re well fed of course! We’ll be busy, but I have lots of good help this summer, and there is nothing like eating tomato soup in January that you froze in August! The rewards will be great! I encourage everyone to grow their own food!!! It is comforting to know where your food comes from, and how it was grown. 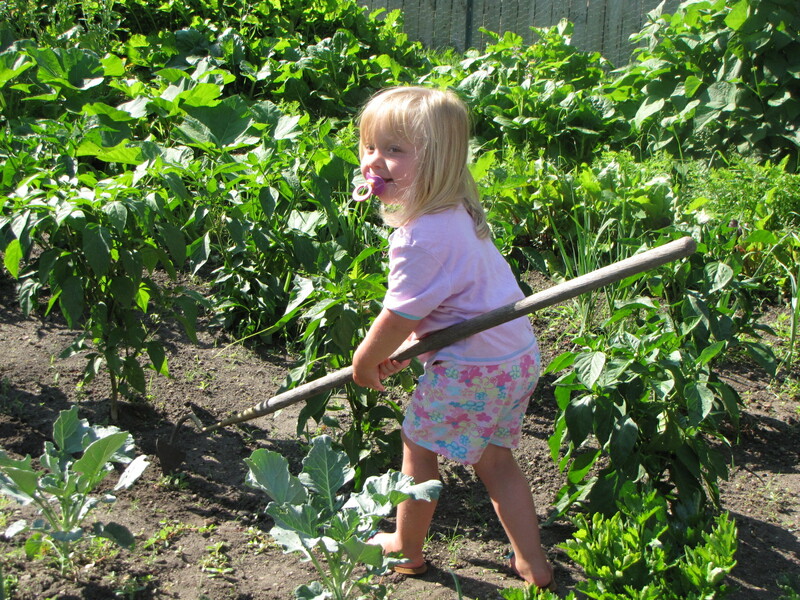 It is good for kids to see where their food comes from, and to play a role in it’s production. Did you know that most produce travels 1500 miles from farm to fork? By the time you get it, many of the nutrients are already greatly diminished and it tastes nothing like it does fresh. That, and in economically uncertain times…it just makes sense. For people reading this who live in apartments or have homes with small yards…you can do incredible things with small spaces. 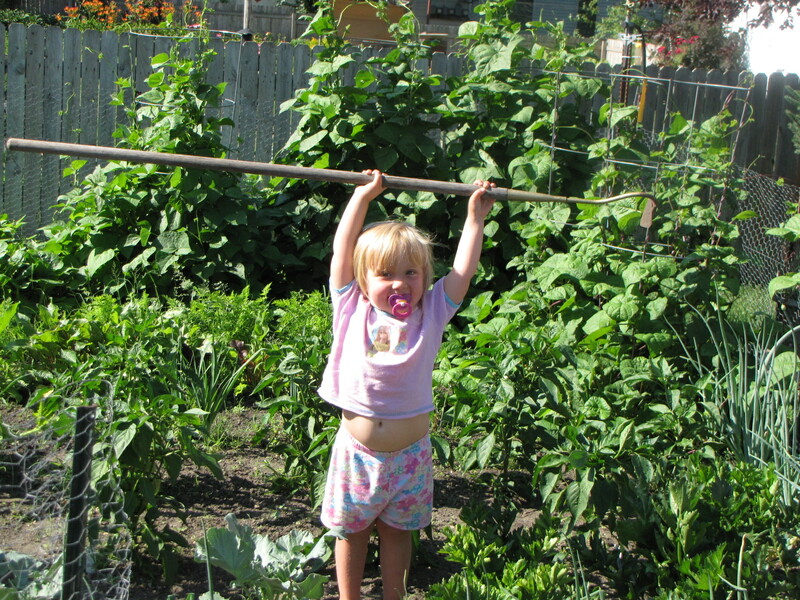 Check out the principles of square foot gardening and have a small plot in your back yard, or use raised beds, or even space in your front yard if your city allows it. Even having a few pots on an apartment balcony or your back porch step is better than nothing! 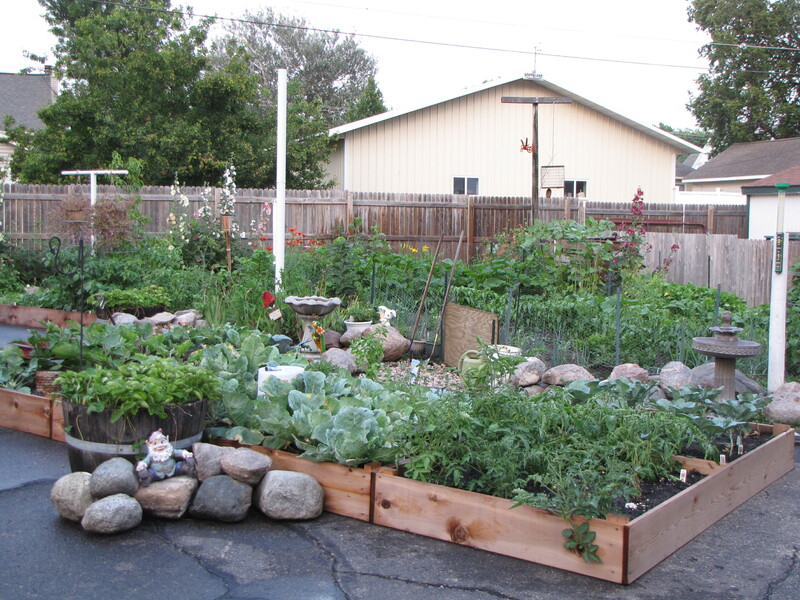 See if your town has any type of community gardens that would allow you to use space elsewhere. And if you just can’t make it fly…support your local farmers by purchasing through farmers’ markets or CSA farms (Community Supported Agriculture). You can generally get great produce, etc., way cheaper than in the store, and especially if you’re living in a small town…you probably know who you’re buying from! Check out your state’s “Buy Fresh Buy Local” website for information about local farmers markets, farms and CSAs. Even if you can’t grow it yourself, you can still get a bounty of healthy, fresh and clean food!